Life is nothing if not miraculous, parents holding their babies for the first time are often mesmerized by those ten chubby little fingers and toes, an outward reassurance that physically, all is well. What parents are praying for is the miracle of a healthy child. Never-the-less; there are times when those first appearances can be misleading, and joy can turn to sadness when conditions like cerebral palsy are diagnosed. According to Centers for Disease Control and Prevention, about one in every 33 babies are born with a birth defect. Cerebral palsy (CP) is a general term used to describe some neurological conditions affecting a child's movement and coordination, it is the most common motor disability in childhood. Statistically; 1 in 400 children in the UK are affected by cerebral palsy, around 1800 babies are diagnosed with the condition each year. The incidence of cerebral palsy has increased in infants born prematurely in the US, according to research from Loyola University Health System (LUHS). The United Cerebral Palsy (UCP) Foundation estimates that nearly 800,000 children and adults in the US are living with CP, and around 10,000 babies are born with the condition each year. The encouraging news is that researchers from UK, Denmark and Sweden have found evidence that CP rate among very low birth weight infants has begun to fall. CP is 20 to 80 times more common among children that are born weighing less than 3.3 pounds, the term used by medical professionals to describe these babies are very low birth weight (VLBW). Cerebral palsy is not a progressive condition; it will not worsen as the child grows older. But the high levels of strain and stress placed on the body can cause health problems in later life. This condition affects the brain and nervous system. Cerebral palsy refers to the part of the brain that is affected, the area of the brain known as the cerebrum (a Latin word for brain, top of the head or skull). The cerebrum is in the anterior or front section of the brain; it is the dominant part of the human brain. Palsy means complete or partial muscle paralysis often accompanied by loss of sensation, tremors and uncontrollable movement of the body. The damage to the brain can happen before, during, or after birth. Symptoms of cerebral palsy vary from child to child depending on which type of the condition a child has. 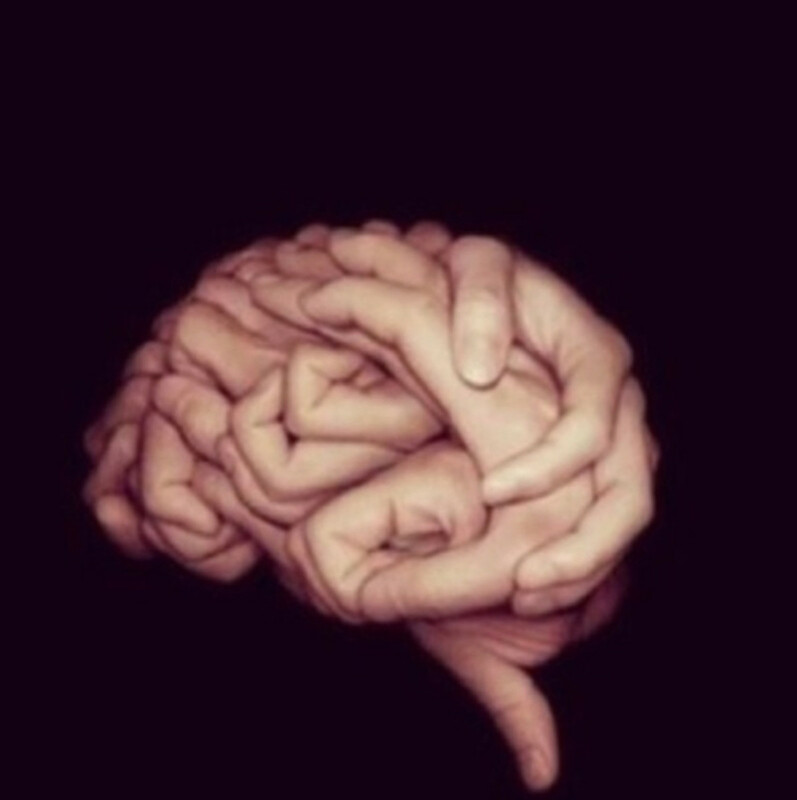 Mutation in the genes that helps in brain development. (3) Intracranial Haemorrhage, or bleeding in the brain, can be dangerous because the brain is deprived of blood supply which can cause the death of brain tissue through lack of oxygen. 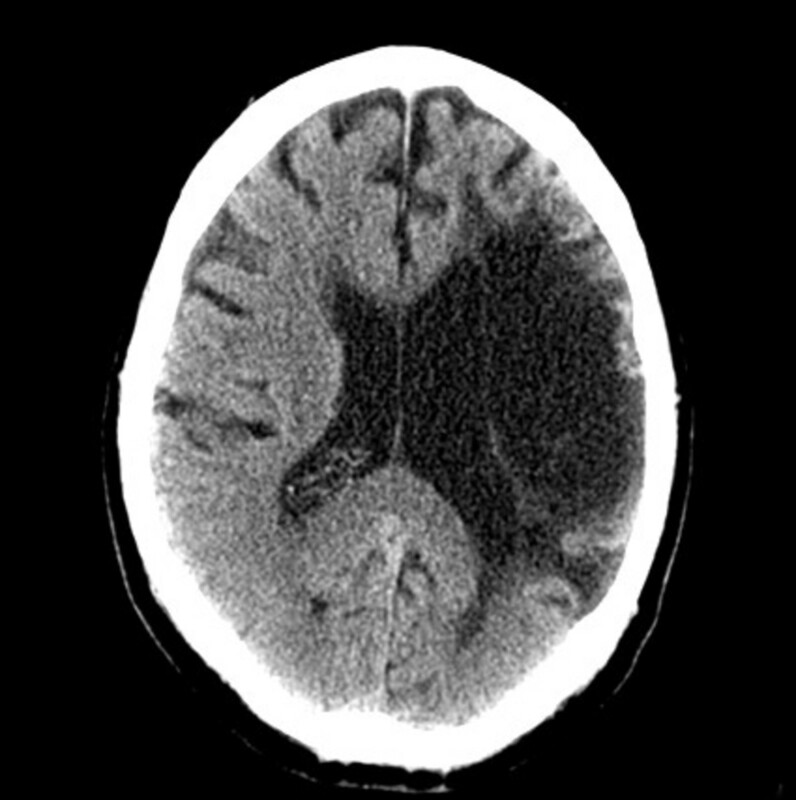 Bleeding into the brain, or intracranial haemorrhage can also cause direct damage to the tissue of the brain. 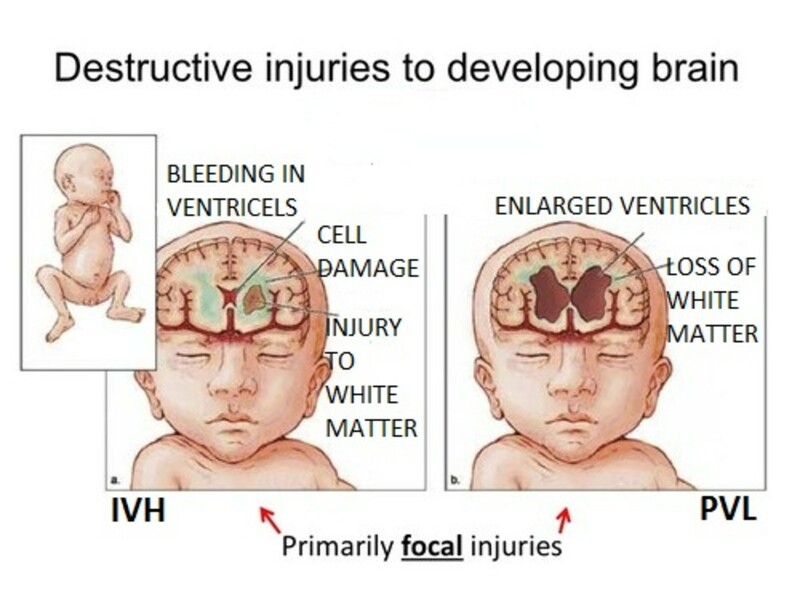 Intracranial bleeding commonly occurs in unborn babies, it is the breaking or rupturing of a blood vessel in the brain. The rupturing of the blood vessel can happen as a result of several factors such as a pre-existing abnormality in the child's blood vessels, in a mother who is suffering from high blood pressure, or from an infection during pregnancy, particularly pelvic inflammatory disease. A few cases of cerebral palsy are caused by damage after birth; this may be due to infection of the brain such as meningitis or traumatic head injury. There are many types of cerebral palsy, the most common is spastic cerebral palsy occurring in about 7 in 10 cases. Hemiplegic cerebral palsy, hemiplegia means that the leg and arm of one side of the body are affected. Spastic means that the affected muscle are stiffer than normal. The degree of stiffness can vary hugely from case to case. Movement of an affected arm or leg are stiff and jerky; some muscles can become permanently shorten. When this occurs, it is referred to as contracted. A child with this type of CP typically have muscle stiffness or spasticity on one side of the body, often only a hand and arm are involved, but a leg may also be affected. The affected side may be underdeveloped. The child may have speech difficulties, some children will suffer from seizures, however; in the majority of cases, intelligence is not affected. Quadriplegic Cerebral Palsy, this is the most severe form of spastic cerebral palsy, the legs, arms and body of the child are affected. Children with this type of cerebral palsy are much more likely to have mental retardation; some may have seizures. Walking and talking will be difficult to do. Ataxic cerebral palsy affects the child's balance and the ability to judge where objects are situated in relation to his/her position. This is known as “depth perception.” Ataxic cerebral palsy is the least diagnosed type of CP. Children with this type of cerebral palsy will find it difficult to do simple action requiring the use of fine motor skills. Activities like tying shoelaces, doing up buttons, using scissors are difficult to achieve. Due to the problem with balance, children may walk with their feet far apart. There may be what is referred to as intention tremors, shaking that begins with a voluntary movement, such as reaching for an object, the closer the child gets to the object the more pronounced the tremors. The majority of children with ataxic cerebral palsy have good communication skills and are of average intelligence. Athetoid (dyskinetic) cerebral palsy, this is the second most common type of CP. 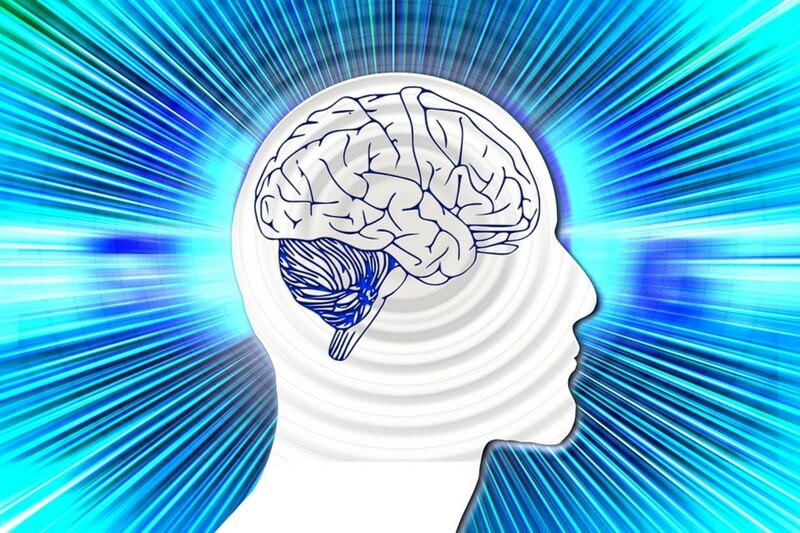 While the whole body will be affected by muscle problems, intelligence is almost always normal. The muscle tone is weak or tight, giving rise to random and uncontrolled body movements. Children with this type of CP will find walking, sitting, maintaining posture difficult. Some children may drool if they have the problem of controlling facial muscles; they find speaking clearly difficult because the tongue and vocal cords are hard to control. Hypotonic Cerebral Palsy, hypotonia is diminished muscle tone. This type of CP may be the result of severe brain injury or malformation. Some parents described the movement of their child with hypotonic cerebral palsy as that of a rag doll. Muscle problems appear earlier, the baby's head is floppy. These children only give a moderate amount of resistance when an attempt is made to move the limbs. The child with hypotonic cerebral palsy, rest with elbows and knees loosely extended, in comparison, a healthy baby's elbows and knees will be flexed. Some of these infants may also have breathing difficulties. Cerebral Palsy affects over 17 million people worldwide; it accounts for the highest number of childhood physical disabilities. But although large numbers of individuals have this disorder, it is still misunderstood by a vast proportion of the general public. Although most of the people who took part in this study were educated from a middle to upper-middle class section of the population, the study concluded that the term cerebral palsy was ambiguous to many and may have negative connotations. More than 50% of newborns develop jaundice after birth, severe, untreated jaundice can give rise to neurological disorders such as Kernicterus, this can kill brain cells, cause deafness and CP. Babies that are born smaller than the gestational age are at risk for cerebral palsy due to the same factors that prevented normal growth in the womb. The apgar score is a numbered rating that reflects a new born's condition. 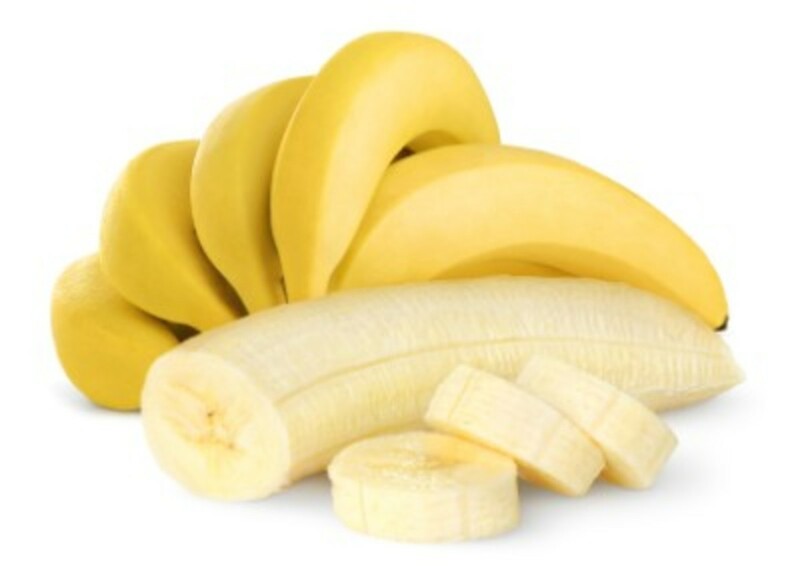 This can result in excessive bleeding and pain, in a lack of blood, oxygen and nutrients to the fetus. These factors can increase the risk of a child developing CP. Complications can include, placental abruption and placenta previa. Multiple births such as twins or triplets are linked to an increased risk of CP. The death of a baby twin or triplet increases the risk further. The risk of CP is higher in infants who weigh less than 5.5 pounds at birth, or those that are born less than 37 weeks into the pregnancy. IUGR, is defined as a fetus with a weight that falls below the 10th percentile and abdominal circumference below 2.5th percentile when compared to others of the same gestational period, this can be due to chromosomal abnormalities, drug and alcohol abuse, heart disease and high blood pressure in the mother, poor nutrition, pre-eclampsia or eclampsia, placenta problems or parents smoking. The life expectancy of a child who is mildly affected by cerebral palsy is much the same as a child without the condition. A two-year-old child who is unable to walk has three chances in four to live into adulthood. From 100 children aged five who can neither walk, feed or dress themselves, 63 will live to reach the age of 20, and 50 will reach the age of 30. A child of two, unable to walk, feed or dress themselves, who also has severe learning difficulties is as likely as not to reach the age of 25. There are more boys born with cerebral palsy than girls. For every 100 girls with cerebral palsy, there are 135 boys with the condition. 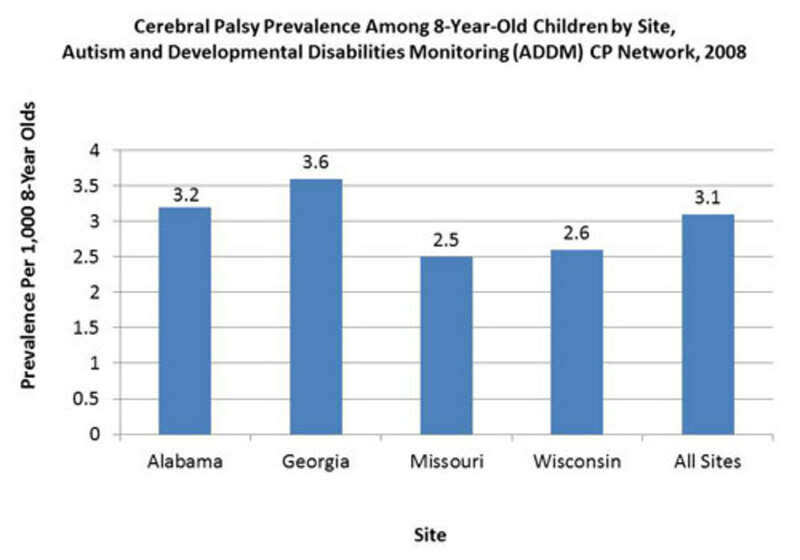 Over 50% of children with cerebral palsy are affected by bilateral spastic cerebral palsy. Most cases of damage to the brain in children with cerebral palsy occurred before birth, during the first six months of pregnancy. 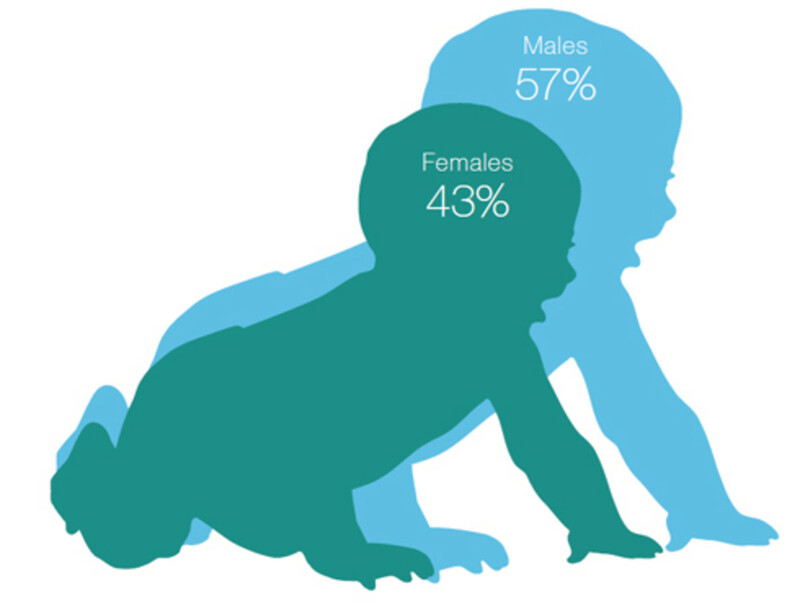 Less than 1 in 10 of cerebral palsy cases are caused by asphyxia ( 0xygen deprivation) during birth. Hemiplegic spastic cerebral palsy occurs in one-third of children with cerebral palsy. Around 1 in 20 children with cerebral palsy has dyskinetic and ataxic cerebral palsy. 1 in 3 children with cerebral palsy cannot walk. 1 in 4 children with cerebral palsy is unable to feed or dress themselves. 1 in 10 children with cerebral palsy has severe vision problems. Around 1 in 50 children with cerebral palsy are deaf. About 1 in 11 children with cerebral palsy is blind. Around 1 in 4 children with cerebral palsy are reported to experience epileptic seizures. Hi Joelle, sorry to hear that you're suffering with the flu, both my husband and I had it bad last year, so I got the jab this year and so far so good. Thanks for taking a look at this, Lincoln's story is heartbreaking, but he is lucky to have incredible parents who would never give up on him. Wrap up warm and don't forget the honey and lemons, :) my best as always. A fantastic hub to explain the causes of cerebral palsy, Jo! You always make it so clear! I didn't realize that boys were more at risk than girls. Thank you for sharing Lincoln story! It shows that parents know best. We should listen to our gut more sometimes and insist that doctors make more tests when there is doubt. I had to fight for some health issues for both my kids (but not as dramatic as PC). I am a little bit late commenting because I was away... and now down with the flu. I am glad I kept those emails from HP because you always do a brilliant job explaining medical conditions! Soon you will be ready to compile your articles to make a book! Frank, I'm so glad you took the time to read the article and also watched the video, it is heartbreaking, but as you so rightly said, important for the hub. Always a pleasure to see you, take care and my best as always. Hi Genna, Christy Brown, for those who can't immediately remember the name, was a writer and painter, his story was portrayed in the film " My Left Foot" by Daniel Day-Lewis. This genius was indeed a prime example of the power of mind over matter and how we should never underestimate the human spirit. I was watching a program recently about prioritizing care in the nhs, and with the pressure on the nhs at the moment, should people who are hugely disabled be treated with expensive drugs. I guess, Christy Brown and disabled scientists like Stephen Hawkins and all the other disabled people out there provides the answer to this question. life expectancy changes with the advances in science and medicine and quality of life is subjective. Thank you for reading this, much appreciated and my best to you. Excellent presentation, Jo. You are quite correct in that it is very misunderstood. For example, people sometimes mistake this disorder with “mentally disabled,” which is a gross misconception. The extraordinarily talented Christy Brown had cerebral palsy; he is just one example of many who were, and are, afflicted with this condition. Voted up and shared. Hi Flourish, some folks do feel uncomfortable around people with disabilities, there are many misconceptions about CP, as I mentioned in the article. Unfortunately; until more of us can take the opportunity to understand these conditions, there will always be those who think that they should act differently around someone with a disability, or simply find it easier to ignore, rather than make that connection. Thank you for taking the time to read this, it's always a pleasure to see you. I used to work with a fellow with CP, and unfortunately many people on staff wouldn't take the time to connect with him as a human being. Also, I had no idea about some of the risk factors you presented here. Jaundice, for instance. Well done, as always. Hi Ann, thank you for taking the time to read this, I do appreciate it. As teachers and nurses, we most probably come into contact with more children with disabilities than the average person. However; the public in general need to be made more aware of these conditions. With our disability and discrimination laws protecting the rights to work, there are more people with disabilities in the work place now than at any time before. When we understand, we help to make this world a little less frightening. Thank you again for the visit and comment, I hope you're having a brilliant day, my best to you. Eddy, I'm so glad you found this helpful, that makes it well worth doing. This world is an incredible place, but it can also be tough and cruel, when we understand, we can begin to make it a better place for all. Thank you for taking a look at this, as always, much appreciated. Thank you tobu for this great read tobu; I care for a young girl with cerebral palsy to and fro school everyday; however I did not fully understand and now I do. Voted up, across and shared. Hi Devika, it's always hard to see children suffering, but we can help by understanding and getting some insight into the condition. Not all children with cerebral palsy are the same, most of them simply want to get on with their lives the best way they can. Thank you for stopping by, I hope you're having a lovely day and as always, much appreciated. Hi Faith, I think part of the problem is that with new technology, we are saving more babies that would not have survive a few years ago, unfortunately; with lower birth weight, we also get a higher level of children with disabilities. We need to find a way to prevent or reduce the incidence of this type of conditions, maybe one day soon. It's always a pleasure to see you my friend, I hope you and the family are all well. Take care and my very best to you all. Hi Ruby. I'm so thrilled! Finally; you did some exploring and found my name. :) All joking aside, it's a pleasure to see you. So sorry about your friend's daughter, it must be so hard for the family. Living with daily seizures is unimaginable for most people, I don't know how the families cope. I guess when something like this happens, you simply do the best you can. There is nothing easy about this condition, thank you for the insightful comment and visit, much appreciated. My best as always. Hi Cat, children should be carefree and happy, it's a hard thing to see them in splints and braces, each step is like another mountain to climb, and yet, as you've so rightly said, they so obviously enjoy life. It is something for us to think about when the little things threatens to bring us down. Thank you for stopping by and for this wonderful comment, take care and my best to you. Tirelesstraveler, lovely to see you! It is so nice to read about people with such positive attitude, your kid's friend is a perfect example of how this condition can vary from person to person. I wish him all the best, and the same to you for this great comment, much appreciated. I did hear of Palsy you explained perfectly. It is harsh to ones mind and a child affected by this health issue must be so much to cope with as yo have said so. You have created an informative and helpful hub. Excellent article dear Jo, and sad too. I was surprised at how high the rate of the babies being born with CP. I pray too, that there are measures one can take to prevent such during pregnancy other than the obvious. Each life is a precious life, and they deserve the best in this life too. Thank you for writing about CP and clearing up common misconceptions. In my teens I worked 2 summers as a day camp counselor with these kids and taught a weekly arts & crafts class to young adults in my 20s. Many of these kids wore braces and had trouble w/ speech and fine motor skills- a few had mental retardation. My heart overflows when I think of them! In spite of their disabilities, they were some of the happiest kids I've ever met. Being with them really changed my perspective- for life. Great hub!! This is a disorder that can span a huge range of disabilities. My kids have a friend who has C.P. Because he puts so much effort into walking his abs are an eight pack. His upper body strength is amazing. He gets harassed by the police who think he is drunk. He is a wonderful kid, who is working his way through college. Hi Bill, I feel deeply for the parents of children with disabilities. The love, commitment and determination I see from these parents are unbelievable. But the public need to be more aware of the circumstances, so many people just do not understand. Thank you for reading, as always, it's a pleasure. Hi Jackie, I had to cut back on the amount of time I'm spending on HP, so I'm trying to make each hub worthwhile, doing what I can to help spread awareness. I'm glad you thought I did a good job. Thank you so much, your visit and comment is much appreciated. Hope your having a lovely day and my best as always. Interesting timing, Jo. I just met a couple who's daughter has this.....I can't imagine the mental and emotional pain that accompanies this for the parents and child. Thank you for some information I did not know...well done in a professional manner and yet easy to understand.